When patients experience the need for a root canal dentist, it is a much different feeling than a small cavity. However, many people still confuse fillings with a root canal treatment. It is important to know the difference in order to receive the correct treatment for your needs. To explain the difference between the two, we have provided information about each below for your reading. If one experiences any of these symptoms, visit a dentist for treatment immediately. Depending on the severity of the cavity, the patient will either need a filling or a crown. Fillings work for smaller cavities. Crowns work for larger cavities that decay a sizable portion of the tooth. If one notices any of these symptoms, do not hesitate to notify a dentist during an examination. The dentist can then pay close attention to the potentially decayed tooth. When we do not remove and fill a cavity, it can develop into a more serious infection. When the cavity reaches intense levels, meaning that the decay infects the root and pulp of the tooth, the individual will need to visit a root canal dentist. The pulp of the tooth is the area that contains all the blood vessels and nerves. If the pulp and the surrounding nerves are infected, it will be very painful and the symptoms will be much worse. We cannot treat this type of infection like a cavity. The infection would continue to grow and you would lose your tooth while also putting nearby teeth at risk. 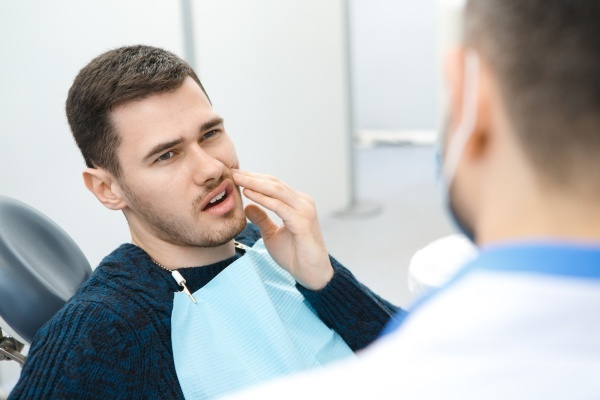 You could also need to visit a root canal dentist if you experience an oral injury that damages your tooth to a point in which the root and pulp cannot survive. We hope we have helped explain when you should visit a root canal dentist as opposed to when you should have a cavity treated. 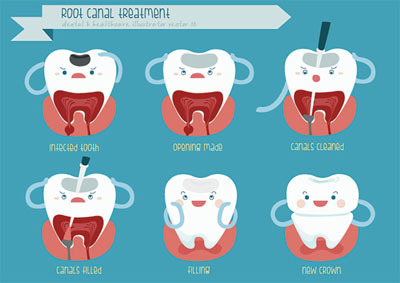 If you feel as though you may need root canal treatment, visit our office as soon as you can.